Fashionable Family Friday: Ride ‘Em, Cowgirl! Big Red was a Christmas surprise from Santa and my first introduction to Wild West adventures. 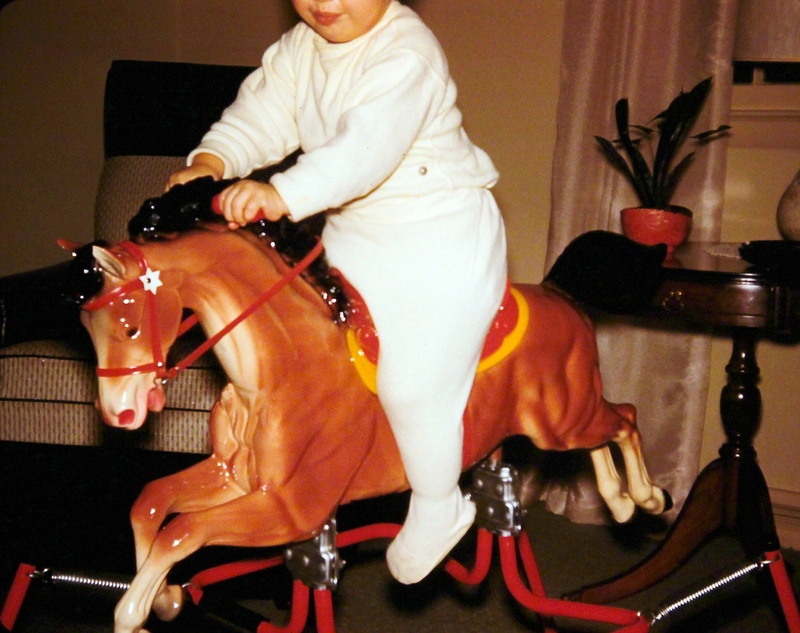 Compared to today’s rockers, he (or she) looks like an accident waiting to happen, but I loved that horse. 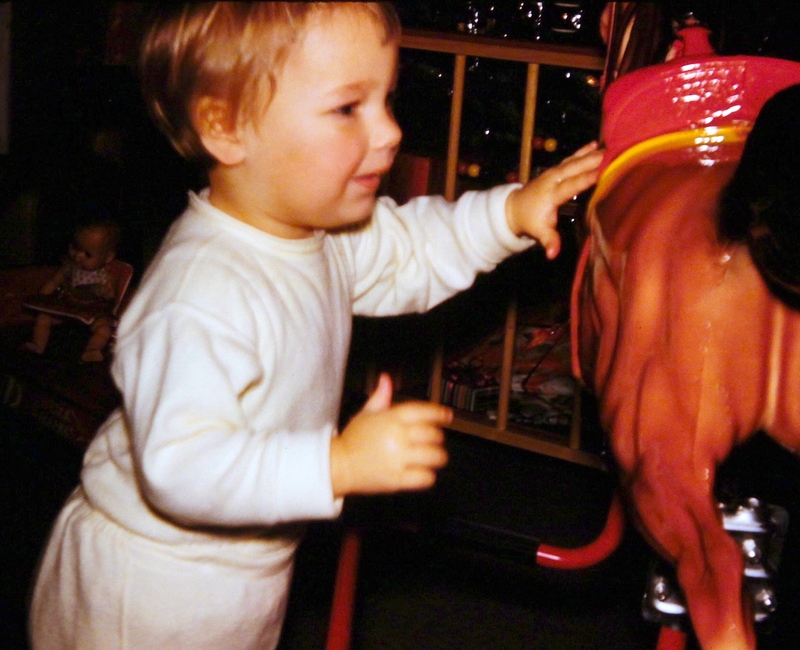 It looks like your Christmas tree was in a playpen that year to keep little hands away from breakable ornaments! Thank goodness, I was distracted by Big Red!